Home Unlock Huawei How to Unlock Huawei E589 4G WiFi MiFi Router? How to Unlock Huawei E589 4G WiFi MiFi Router? Like other Huawei E589, Telia Sweden locked Huawei E589 4G router and others unlocking are also possible. The device comes with uncustomized firmware and after changing the SIM card with another network provider it asks for SIMLock code. How to Unlock Huawei E589 4G WiFi MiFi Router or Modem? 1. Make sure your Huawei E589 WiFi modem is fully charged. 2. 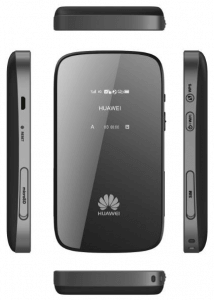 Switch off and insert a non-acceptable network SIM card on your Huawei E589 (e.g. another than Telia SIM for Telia Network router). 3. After changing another network providers sim on your Huawei router, switch on it. It will display “Invalid SIM” because you have used another network providers SIM. 4. Now just establish a WiFi connection to Huawei E589 with your PC / IPAD / iPhone / Android device. 5. 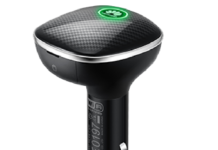 For the best results, connect E589 with PC using USB port and browse for 192.168.0.1 and login to the device’s dashboard. Go to Advanced Settings – SIM Settings – Unlock Device – Enter Unlock Code – Click on Apply. Open the Settings – Dial-up – Unlock SIM card – Enter 8-digit unlock code in your E589 Huawei modem. Click OK and the device will reboot to display the new network. Now your E589 4G Huawei WiFi router is unlocked forever. Note: Don’t try to insert free/wrong codes into your Huawei E589, otherwise it will be locked permanently. You can purchase from any server or can place the order at routerunlock.com. While paying mention the IMEI in the transaction. Correct code will be emailed. Note: Users who want to flash his Huawei E589 can refer this article.